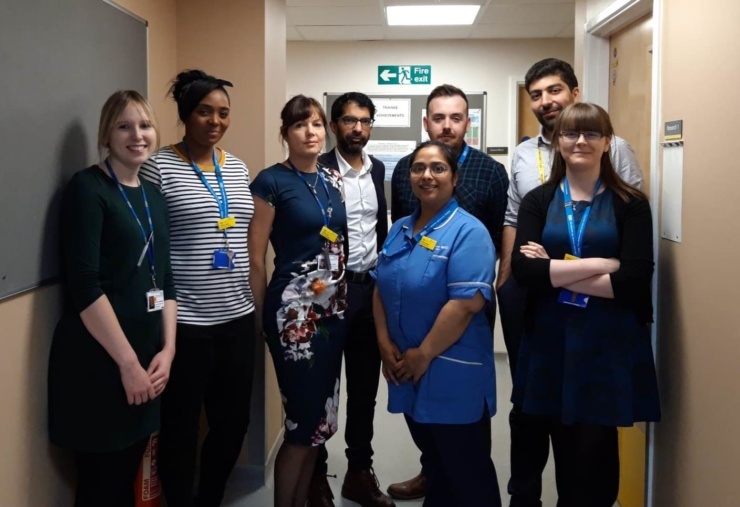 The Department of Research at the Manchester Royal Eye Hospital have successfully recruited one of the first patients in the UK to a research study evaluating a new innovative treatment for wet aged-related macular degeneration (AMD). According to the Macular Society, AMD is the biggest cause of sight loss in the UK, affecting over 600,000 people. The condition affects central vision, causing it to become blurry or distorted with gaps and dark spots appearing. Current treatment for wet AMD comes in the form of monthly injections at a patient’s local hospital. Although an effective treatment, regularly coming in for appointments can affect a patient’s quality of life. It also requires a huge amount of hospital resource, with hundreds of thousands of injections required each year in the UK alone. However, this new study hopes to change this, by evaluating a new treatment in the form of eye drops. The eye drops work by blocking the development of abnormal blood vessels, which cause wet AMD. This week, a patient at Manchester Royal Eye Hospital became one of the first person in the UK to receive the eye drop treatment, as part of a study evaluating it as a new treatment for wet AMD. If the UK wide study, sponsored by PAN OPTICA, is successful it could be the next great revolution in eye care for the thousands of patients who are affected by this condition. Being able to provide patients with the opportunity to trial a new treatment, which could vastly improve their quality of life, is a great motivator for this study. If proven effective, this treatment would provide patients with more control and ownership of their condition as well as reducing the need for regular hospital visits for monthly injections.